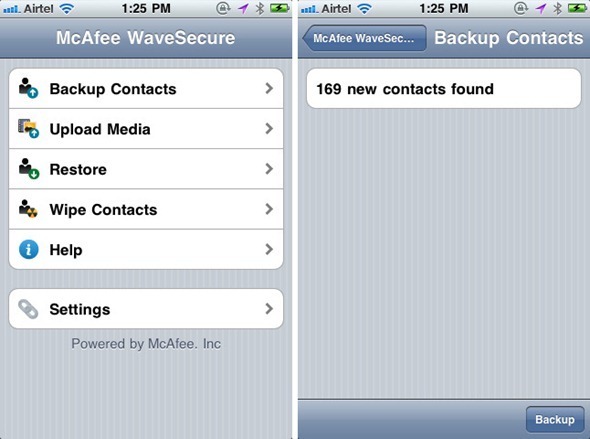 McAfee, the well known consumer and business security software developer, is launching its WaveSecure app for the iPhone, aiming at securing sensitive data on the said device. WaveSecure, which has been available for all major smartphone platforms for quite a while, including BlackBerry OS and Android, and has a sharp focus on the protection of relevant user data such as contacts and SMS. The new ported solution brings the same feature set largely unchanged to iOS. After a short registration process, users are able to backup their relevant data to a remote location and retrieve it at any time the device is lost and stolen. The retrieval process can be carried out from the device itself, another authorized device running WaveSecure or a computer through a web interface. Since this software is cross-platform, the same information can be retrieved across different platforms: for example, contacts backed up from an iPhone can be downloaded right back to a BlackBerry. That’s not only a great security feature, it’s great for switching devices! More than just data, the location of the device can also be tracked remotely through the aforementioned web interface. This is achieved by tracking the SIM card, which is useful for when a device gets lost or stolen. Users are also given the option to remotely lock the device and wipe all the sensitive data in order to protect it from thieves. Consumers use their mobile devices to hold some of the most important details of their life. 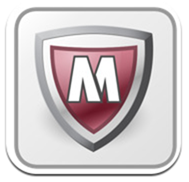 McAfee WaveSecure software works seamlessly to secure, back up and wirelessly restore content on the device via the online portal. So even if the device is lost, stolen or damaged, or even if users accidentally delete their data, the data remains safe and easily accessible. While most might know McAfee as an anti-malware maker, this solution doesn’t detect malware. Such feature wouldn’t have much user on a controlled platform like iOS. You can read the whole press release here. WaveSecure is available as of today for $19.99 from the App Store for the iPhone, in several language such as English, Portuguese and French. Keep in mind that the iPad and iPod touch aren’t supported in this release.